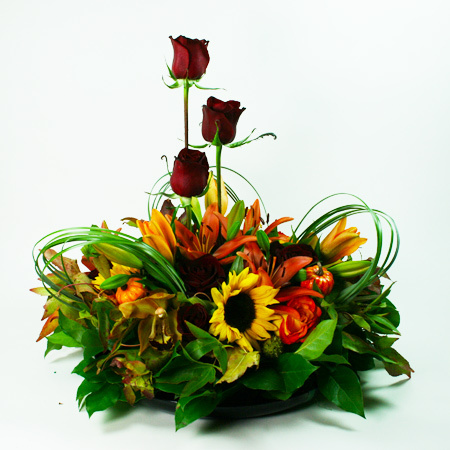 A fresh mix of colorful fall flowers encircling a structured display of roses to create a beautiful flame-free centerpiece for your table this holiday season. Approx. 15" in diameter and 12" in height.